Feministeerium is an independent feminist media outlet in Estonia. We publish weekly online articles on our blog, comment and share news on our Facebook page, tweet occasionally, and collect sexist ads on Instagram. We are interested in an intersectional perspective and have a soft spot for queer issues. 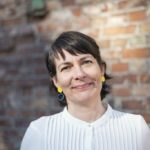 We like different feminist voices to be heard and offer a platform for feminist writers in Estonia and abroad, representing a variety of perspectives. Whenever we have the opportunity, we arrange feminist creative writing workshops. We welcome both visual and written contributions (written ones should be in Estonian, Russian or English). The editorial staff reserves the right to choose which contributions are to be published. If you are interested, please contact us at our contact page. Aet Kuusik is an editor and contributor. Aet has studied linguistics and works mainly with texts, but has also made a debut as a playwright. She was a co-organiser of the feminist festival Ladyfest, and has been active in other grassroots initiatives. Aet is especially interested in queer perspectives, intersections between power and privilege, and animal rights. 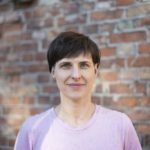 Jana Tserkasina is the Russian-language text’s editor at Feministeerium. Jana has degrees in Economics and Finance and works in a management consulting company. 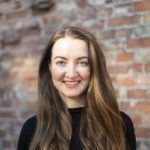 Jana likes to write about feminism and career, and also has her blog about work, career, and self-development. Nele Laos is a project coordinator and an activist. She is currently studying for her master’s degree in sociology at Tallinn University. 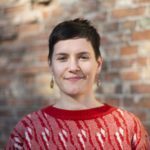 In the past, she has organised Ladyfest Tallinn, and now she is poking her nose into different East and Central European grassroots initiatives related to queer-feminist issues and leftist politics.